wallside updated the task description for T128207: Crash upon opening map. wallside created T128207: Crash upon opening map. wallside added a comment to T118769: Concrete Curb missing vehicle hitbox. wallside added a comment to T119267: Apex campaign episode 01 Keystone: Objective New York not completing. Was playing solo. I did not respawn prior to the incident. I approached New York from SW. The last radio message I got was about civilians present in the AO iirc. wallside created T119267: Apex campaign episode 01 Keystone: Objective New York not completing. wallside added a comment to T118988: Vegetation textures flashing light blue. I can confirm updating the video drivers to Radeon Crimson 16.3.2 apparently fixed the issue for me. Actually I would prefer the LOD blending to simply work on all cards (unless it's a driver bug that Bohemia has no control of). wallside updated the task description for T118988: Vegetation textures flashing light blue. wallside created T118988: Vegetation textures flashing light blue. wallside added a comment to T59045: Ocean floor is clearly visible from just beneath the water surface..
wallside added a comment to T75193: Automatic guidance gun ZSU-39 and IFV-6a. wallside added a comment to T118715: Normal Soldiers cant wear Stealthbalaclava. wallside added a comment to T118701: Tire Graphic Glitch. Can confirm. These strange shadows are sometimes even visible through walls. wallside created T118769: Concrete Curb missing vehicle hitbox. wallside added a comment to T117935: Ramps VTOL Transport. +1. Apparently a load-in animation is too difficult, but at least the "Load vehicle" action should only be available when the ramp is open. wallside created T117889: Y-32 Xi'an artificial horizon nonfunctional. wallside created T117885: Tanoa: Missing Pipe. wallside added a comment to T117815: Suggestion: Ctrl+F to choose barrel to fire (eg on Type 115). This is basically the same issue as with underslung grenade launchers. wallside created T117773: Switch to toggle underwater visibility. wallside edited Steps To Reproduce on T79058: [Bugtracker] Attachments inaccessible. wallside added a comment to T78085: Fatique is unrealistic. Creating a ticket about 10+ different issues, most of them being highly subjective, is not going to accomplish anything. wallside added a comment to T76726: Diver teams are able to use hand grenades underwater. wallside added a comment to T76552: M4 Scorcher and 2S9 Sochor AT Mine Cluster rounds fire AP mines. wallside added a comment to T76470: PAPI lights not working. As of 1.26 they seem to be actually working but are far too dim so they can only be seen from close up at night. wallside edited Steps To Reproduce on T76470: PAPI lights not working. wallside added a comment to T74978: Strange civilian vehicle models..
wallside added a comment to T74874: Enemy Diver AI throwing Grenades underwater. wallside added a comment to T74794: Accessing inventory while in a vehicle. If the current implementation "makes you unhappy" what changes would you propose instead if you disagree with my suggestion? While I very much sympathize with your ideas of a better vehicle inventory I consider them quite unlikely to be added to vanilla Arma3. Therefore I still prefer my proposal over the current system which is rather annoying than realistic. In my eyes the current implementation is not more realistic as the one I proposed. I cannot even access my own vest while sitting on the driver seat. A realistic implementation would have to differentiate where exactly what type of cargo is stored in each vehicle, which is undoubtedly out of scope. @AD2001 How does having a monitor mounted in front of you affect your ability to access the luggage? wallside edited Steps To Reproduce on T74794: Accessing inventory while in a vehicle. wallside added a comment to T73964: Add ambient civilians..
wallside added a comment to T73671: Name (and the german translation) of the "M_Titan_AP" is wrong. wallside added a comment to T73631: ambientAnim: GUARD removes rifle. Issue occurs regardless of the value of the "equipment" parameter. wallside edited Steps To Reproduce on T73631: ambientAnim: GUARD removes rifle. wallside added a comment to T73579: Mouse steering in vehichles - spesifically helicopters..
You have enabled "vehicle freelook" in the settings. wallside added a comment to T73564: Engine and physical objects. The exact same principle depicted by FeralCircus applies to ironsights as well. wallside added a comment to T73550: New Unit formation NATO: Infantry + Tank Team. You know you can just team up units as you like? wallside added a comment to T73489: nearestObjects / nearObjects faulty class filter. For everyone suffering from this issue as well, this is my (ugly) current workaround. Note that the array _nonexisting_classes is only an example and still needs to be extended. Will return an array of all objects within area of a given class. This will also find "pseudo-objects" stripped of their class for performance reasons. I would like to hear any proposals of better solutions. @micovery "1 meter is not enough to detect a Land_HBarrier_1_F, even if you are standing next to it. The distance between the player (feet), and the center of the H-Barrier, is about 1.3 meters." The 1m are not relative to the player but to the game logic object and the unfiltered output proves that 1m is enough in this case. I also cannot setPos other pre-placed objects which _are_ properly matched by the classname filter. So if BI thinks this is really necessary for performance sake I would like to ask how I can filter the unfiltered list myself to get all objects sharing a certain p3d file. wallside edited Steps To Reproduce on T73489: nearestObjects / nearObjects faulty class filter. wallside added a comment to T73440: Compass stucks on "15" degree on Self propelled artillery. wallside added a comment to T73418: Gunship optics no longer available to player as gunner..
Can not reproduce anymore in 1.20.
wallside added a comment to T73349: Walls dont have Parent. They apparently do not only have no parent but no class themselves at all anymore, making them pretty unusable for any kind of scripting as far as I can see. wallside added a comment to T73319: Small bunker + Static HMG = death. wallside edited Steps To Reproduce on T73319: Small bunker + Static HMG = death. wallside edited Steps To Reproduce on T73318: == please delete ==. wallside added a comment to T73316: Self propelled artillery vehicles can fly!. wallside added a comment to T73300: Underslung grenade count. wallside edited Steps To Reproduce on T73300: Underslung grenade count. wallside added a comment to T73169: M4 Scorcher gunner cannot see heading. wallside added a comment to T73140: nearestBuilding freezes the game. wallside edited Steps To Reproduce on T73126: Zamak Repair has wrong classname. wallside edited Steps To Reproduce on T73081: AI can't use most runways. wallside added a comment to T73058: Always zoomed m2 on offroad (armed). wallside edited Steps To Reproduce on T73044: Small ammo crate symbols 90° turned. wallside added a comment to T73016: Can't move ZSU-39 Tigris TC periscope. wallside edited Steps To Reproduce on T72707: Steam Workshop tags. wallside added a comment to T72682: Add "BRIEFING" to the AmbientAnimCombat Function. Why are not all animations supported by BIS_fnc_ambientAnimCombat? Are they missing transitions? wallside added a comment to T72623: M2A1/ Merkava tank needs a comander gun. Kind of fixed with the new M2A4 UP variant. wallside added a comment to T72614: addMagazine command does not work in specific situation. I think adding extra commands like "addMagazineToPrimaryWeapon" would be the best solution as it provides maximal flexibility and does not break existing content. wallside added a comment to T72566: Servers and missions need the option to force sound level slider. You cannot enforce the sound level of speakers/headphones so enforcing ingame sound levels is futile. OK, so you mean the ratio between the different ingame sound levels. wallside added a comment to T72561: Add gunner-seat compass to SDV when aiming the periscope..
wallside added a comment to T72553: NO AMSL on the HUD. @MulleDK19 You might. But others reading this ticket might not. wallside added a comment to T72549: Resolved: AA autocannon need some kind of guidance..
At least some markings so you can estimate distances. wallside added a comment to T72534: Please make salt flats of Altis behave like paved road (vehicle speed bonus). Even if it's completely dry and hard as you say, it will not be nearly as smooth as asphalt. wallside added a comment to T72529: AT Mine Cluster artillery projectile actually fires anti-personal mines. wallside added a comment to T72520: AFV-4 gorgon is filled with BLUFOR gear. wallside added a comment to T72519: Riochet simulation of bullets. wallside added a comment to T72467: Strange "Return to Camp Maxwell" button in latest dev branch. wallside added a comment to T72458: M2A1 main gun depression too little, firing from defilade near impossible. I think this is still present in 1.06.
wallside added a comment to T72442: Camp Maxwell appears on the Editors pause menu. 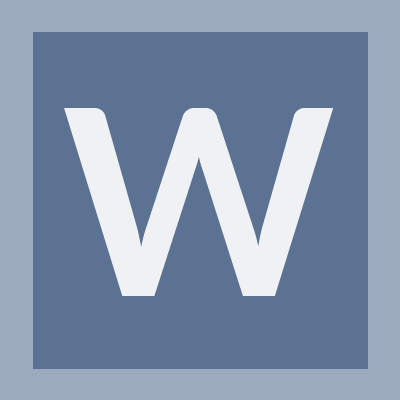 wallside added a comment to T72437: H-barrier Watchtower, not working. wallside added a comment to T72435: Make the independent FIA placeable in the editor again. (scope=public). You are missing the crucial fact that, in contrast to your example, the independent FIA units already exist in the game, they are just deliberately hidden from the editor. wallside added a comment to T72402: Incorrect flare count. wallside edited Steps To Reproduce on T72402: Incorrect flare count. wallside edited Steps To Reproduce on T72395: [duplicate] Greyhawk CAS keeps bombs after drop. wallside edited Steps To Reproduce on T72394: PDM-7 floating. wallside added a comment to T72394: PDM-7 floating. Same applies to "Naval mine (bottom)"
"Naval mine (moored)" is floating at the surface, while about 1m below would be appropriate. wallside added a comment to T72392: Need the ability to connect back to your UAV which is in the Air. Open UAV Terminal, right click flying Greyhawk, click "Connect to UAV". wallside edited Steps To Reproduce on T72315: AI lying in towers/buildings till doomsday. wallside added a comment to T72276: T-100 doesn't have a coaxial MG..
"The Merkava has passenger seats." You know the existence of passenger seats is technically independent of the existence of an additional MG? War is not fair. The faction's equipment is not supposed to exactly match each other. You might have noticed, the maps are not symmetrically either (as they are in some PVP-Egoshooters). If you want a thrilling battle, give the weaker site an advantage in terrain, numbers or whatever. But don't try to make the individual units balanced to an assumed "counterpart". There is none. Well, in that case I'm all for removing those seats but still for adding a commander's MG.
@AD2001 You have something like a reason for that? "M2A1 commander MG isn't nessesary,they already have 6 passanger seats." This is not about balancing. Both MBTs seriously need a MG for both, gunner and commander. wallside added a comment to T72271: AI can't hit autonomous static weapons. wallside edited Steps To Reproduce on T72271: AI can't hit autonomous static weapons. wallside added a comment to T72261: Tigris commander camera fixed. Yes it very much does as the commander's position is completely worthless this way. Also the Tigris's twin, the Cheetah does not have this problem. On close examination the camera's attachment point also seems to be wrong, being around the driver's hatch instead of the turret. wallside edited Steps To Reproduce on T72261: Tigris commander camera fixed. wallside edited Steps To Reproduce on T72259: Artillery: AT Mine Cluster = Mine Cluster.